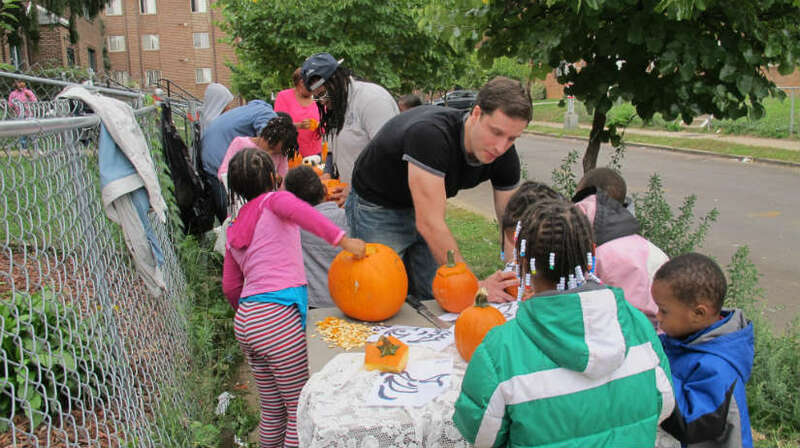 E Street Adventures, a community group that sponsors events for children in the neighborhood around Miner Elementary School, is seeking volunteers and donations for its annual Halloween block party. The party, called “Tricks and Treats on E Street,” is the largest event that the group of E Street residents holds. It takes place on E Street NE between 16th and 17th streets. This year’s party is scheduled for the evening of Oct. 17. Rena Goldman, founder of E Street Adventures, threw her first Halloween party in the area in 2013, after moving to the 1600 block of E Street. Originally, the party was just a performance by a fire dancer who is a friend of Goldman’s and an appearance by Goldman’s boyfriend, Aaron Bryant, who dressed like a superhero. As more community members got involved, the party grew into a full-fledged Halloween celebration with lawn games, pumpkin carving and face painting. Children in the neighborhood now look forward to the festivities all year, Goldman said. This year, Goldman hopes to make the celebration even bigger and invite children from surrounding neighborhoods as well. She set up a website where community members can donate to the party or volunteer to help out. Goldman is looking to add a moon bounce, an obstacle course and a costume contest to the festivities this year.